There’s ugly, and then there’s kissing-your-sister, marrying-your-cousin ugly. 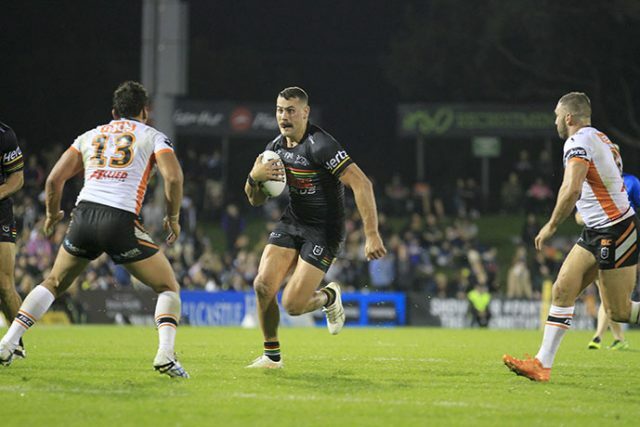 Penrith’s performance last weekend against the Wests Tigers was certainly in the latter category, but somehow the side managed to scrape home 9-8 in what was a confidence building victory if nothing else. Despite a poor start to the season, the Panthers are 2-2 heading into Friday night’s clash against the winless Gold Coast Titans at Cbus Super Stadium, and will surely only improve as this early part of the season rolls on. This is without doubt a danger game, despite the Titans sitting alone at the bottom of the NRL ladder. Garth Brennan’s men have to win eventually, and with a few Penrith connections in the side they’d like nothing more than to claim the scalp of Ivan Cleary’s men. The good news for the Panthers is that this squad is largely unchanged from the team that made the Finals last year, so we know what it is capable of. While we should be a little worried about the side’s performance over the first month of the competition, it’s not quite time to hit the panic button. 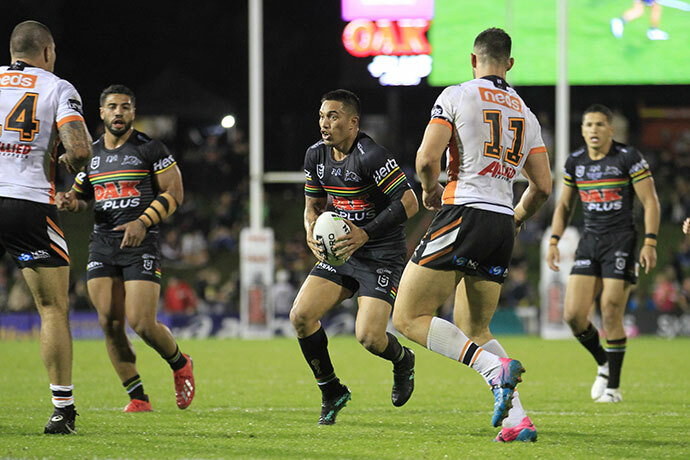 At the moment, Penrith’s completion rate is simply too low, which is not allowing the team to build any momentum or to take control of matches at any point. While that’s not necessarily a simple problem to fix, it’s far less complicated than if the problem was a lack of quality cattle. This team can turn things around, but the NRL season can get away from you quickly, which means the next few weeks are critical. 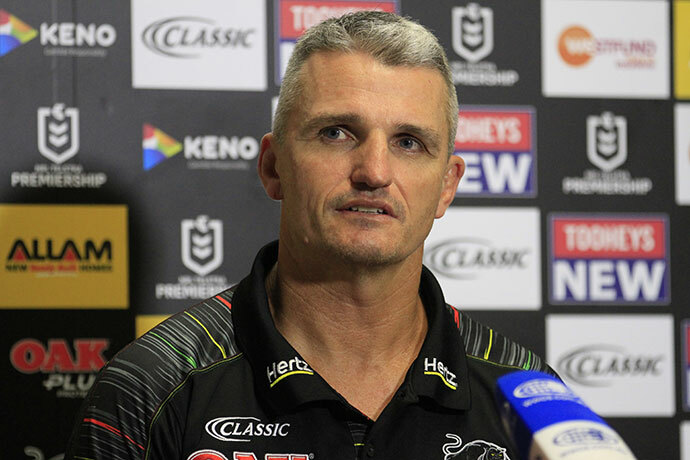 Ivan Cleary was forced to alter his spine mid-way through last weekend’s game against the Tigers when he shifted an out-of-form Dylan Edwards to the wing, and moved Dallin Watene-Zelezniak to fullback. Cleary has stuck with that formula for Friday’s game against the Titans, hopeful Edwards can find the confidence he has so severely lacked so far this season. With Frank Winterstein out injured, Cleary has named Viliame Kikau to start, with Tyrell Fuimaono coming onto the bench. Cleary has resisted the temptation to add the mongrel style of Jack Hetherington to the side, who has been mysteriously sitting in reserve grade for the last couple of weeks. While the Gold Coast are yet to win this season, they should not be under-rated and are probably going a little better than the NRL ladder suggests. They were only a lucky bounce of the ball or two away from toppling the Rabbitohs a fortnight ago, and almost no team would have beaten the Warriors last weekend given they completed at 91 per cent and made just five errors. The Titans do have some star power just waiting to be unleashed, and once the halves combination of Tyrone Roberts and Ash Taylor clicks, the side may finally start to do something this year. Tyrone Peachey is an obvious danger man this week too. On paper Penrith look too good here, but it’s hard to be completely confident they’ll get the job done given the way they’ve played over the last four weeks. I’m sticking with the Panthers, hopeful that last weekend’s thrilling victory over the Tigers will be the catalyst that turns the side’s fortunes around. The Panthers and Titans play at Cbus Super Stadium on Friday, April 12 at 6pm.